Whether you’re planning a trip to the cinema with the kids for some family-friendly laughs, or a catch up with friends that include a horror flick or the latest action-packed film, here’s our top picks of the best films out in cinemas in Dubai this week. This hilarious comedy sees a controlling and terrible boss gets trapped inside her younger 13-year-old self. She is forced (much to her dismay) to turn to her long-suffering assistant, April, to fill her shoes at the office, while she is made to go to school by Child Protective Services. This enthralling sci-fi thriller takes place in the future, where crimes and poverty are a thing of the past. However, the bad news is that aliens have enslaved humanity. Set in a Chicago neighborhood nearly a decade after occupation, Captive State explores the lives on both sides of the conflict – the collaborators and dissidents. 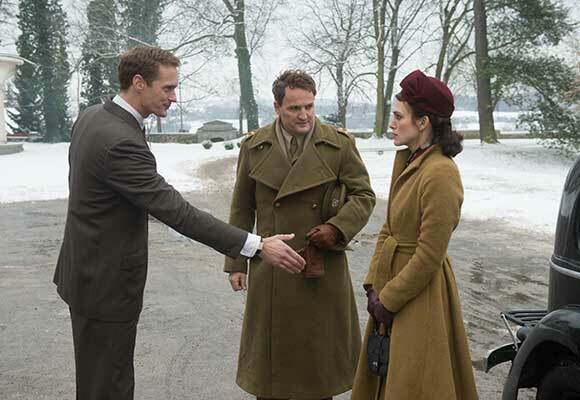 The movie is about the story of Rachael Morgan who arrives in the ruins of Hamburg, Germany in 1946, post World War 2, to be reunited with her husband Lewis, a British colonel charged with rebuilding the shattered city. As they set off for their new home, Rachael is stunned to discover that her husband has made an unexpected decision to share their grand house with its previous owners, a German widower, and his troubled daughter. In this charged atmosphere, enmity and grief give way to passion and betrayal. Based on the novel After by Anna Todd, good girl Tessa who is a young woman in college who falls for bad boy, Hessa, a magnetic, brooding rebel who makes her question all she thought she knew about herself and what she wants out of life. Dragged Across Concrete centers on two policemen, Brett Ridgeman, who is an old timer and his much younger, volatile partner Anthony Lurasetti, who find themselves suspended when a video of their strong-arm tactics is caught by the media. Low on cash and with no other options, these two embittered soldiers descend into the criminal underworld to gain their just due, but instead find far more than they wanted awaiting them in the shadows.